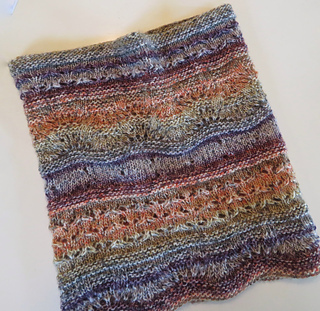 This cowl is knit in the round from the bottom up. 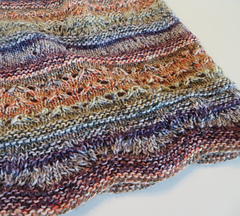 Simple lace stitches are alternated with garter stitch bands. Pixel yarn has fun speckles and stripes making this cowl an easy, fast knit. 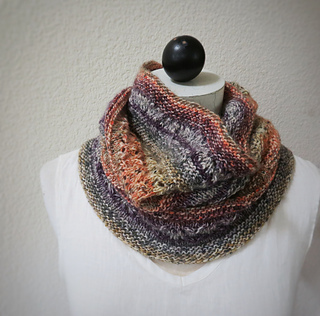 You just want to knit one more round to see what’s coming next!